Cassowaries are unusual and weird by nearly every standard, but the general focus is mainly on their flamboyant heads and necks and their formidable foot claws. But there is just so much more noteworthy about them. For example their extraordinaire remiges, which are reduced to very long, barb-less quills, which are unlike anything else in the modern bird world. Cassowary wing quills. Photo taken at the public collection of the zoological institute at Tübingen. The wings of cassowaries are highly reduced, much more than those of ostriches or rheas. Without those long quills, they would be almost unnoticeable within their shaggy plumage. Cassowary wing quills and killer claws. Photo taken at Berlin Zoo. 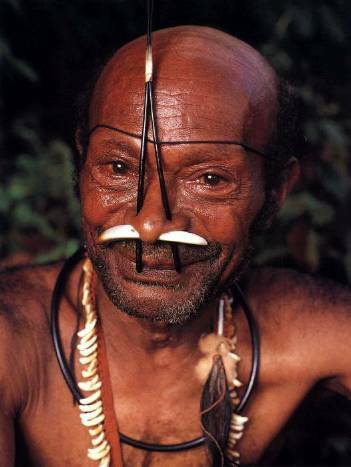 Those quills are still used by Papuans as decorative ornaments, for example for nose piercings, but also as a medium of exchange. 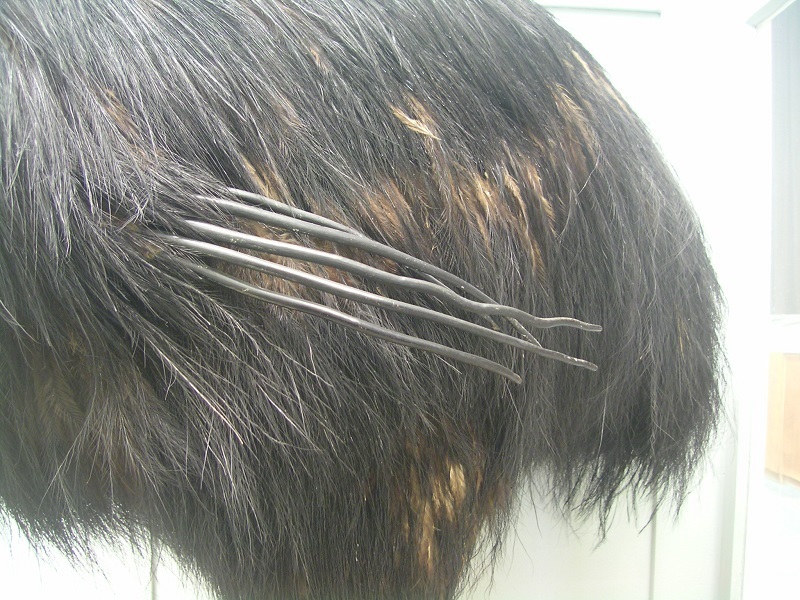 The question however remains, what is the purpose of those quills for the cassowary? Are they for display, social interaction, have they some mechanical function or are they used for defense? 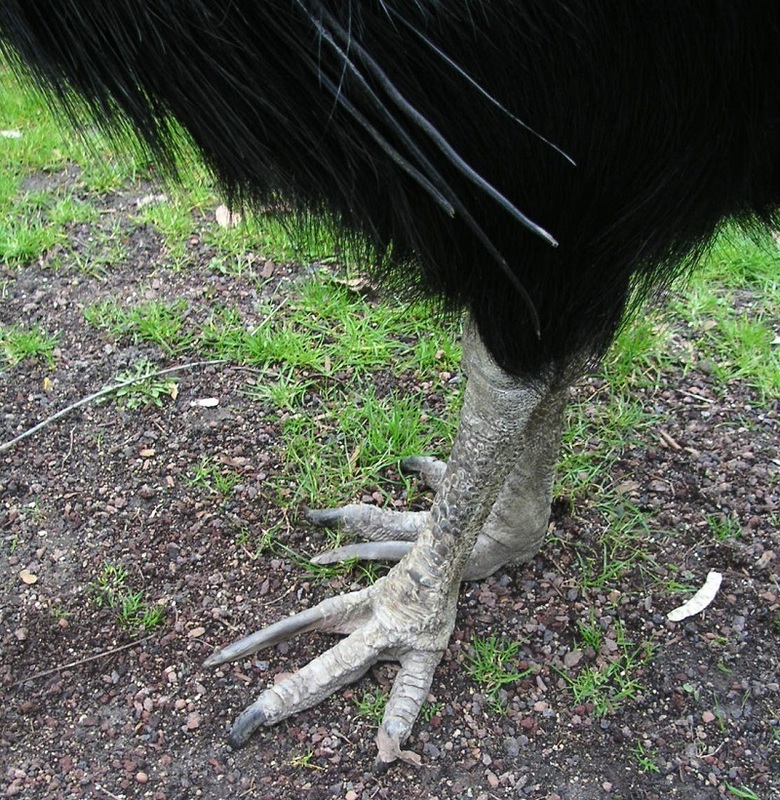 Given they massive foot claws, it seems not very likely that cassowaries have to rely on their quills as a mean of defense, and so far I couldn´t find any additional information which would support any of the other possible uses. Dieser Beitrag wurde unter Anatomie, Vögel veröffentlicht. Setze ein Lesezeichen auf den Permalink.